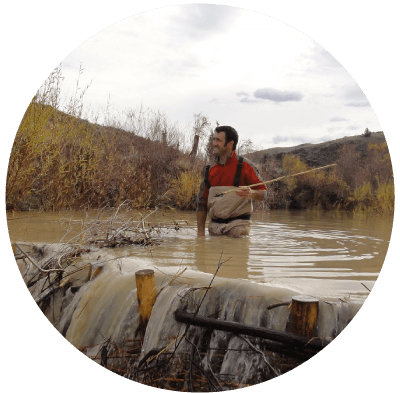 However, the vast majority of our streams and rivers have been starved of naturally occuring structural elements like woody debris and beaver dams. Starting with impacts like beaver over-trapping and extirpation, moving to logging, over-grazing, channel simplification, and debris removal, we have systematically simplified our systems to the point that the resulting habitats are so homogeneous that most native species don't have the diverse niches they once thrived in. 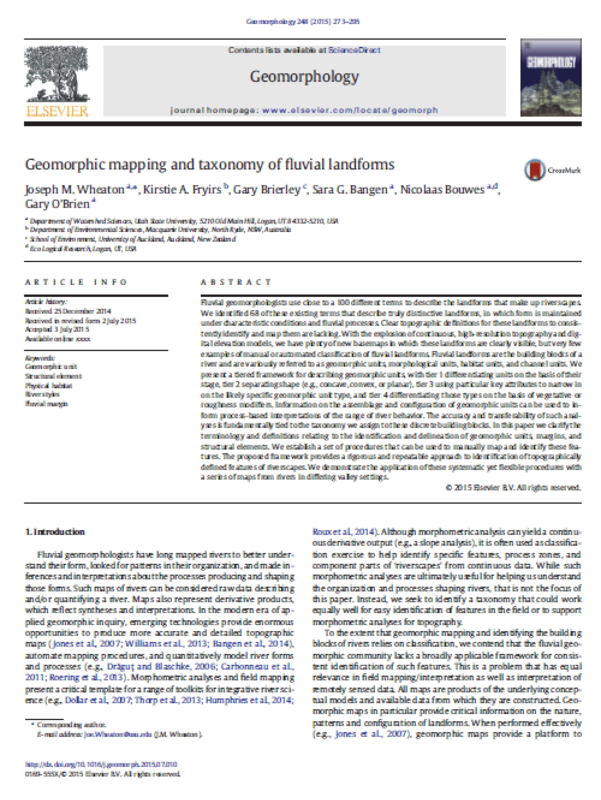 See Ellen Wohl's (2013) Floodplains and Wood review for an excellent overview. See Wheaton et al. (2015) for explanation of how structural elements fit into riverscapes. BDAs are hand-built, man-made structures intended to mimic the function of natural beaver dams. The original BDAs were built with untreated wooden fence posts. However BDAs can be built, like beaver do, with out posts and just using branches, logs, mud and other on-site materials. BDAs work best when maintenance is taken over by beaver, but maintenance is possible by humans too! High Density Large Woody Debris addition focuses on increasing the amount (i.e. in LWD pieces per mile) of wood in streams and rivers through selective felling, seeding wood into the channel and construction of woody debris structures (e.g. PALS). The approach necessarily focuses on broad coverage and an efficient, cheap & cheerful strategy to restoration. 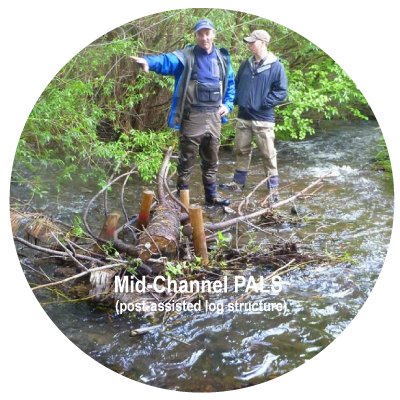 Post-Assisted Log Structures use untreated wooden fence posts to temporarily pin and anchor LWD pieces in place to achieve specific short-term and medium-term hydraulic, geomorphic and habitat responses. In the long-term, the woody material seeded in PALS either helps catch and form larger stable jams, or is recruited downstream to form new jams. Simply feeding more structure to streams in a somewhat haphazard way will, in many cases, give the river the meal(s) it needs to build better habitat with time. However, in many cases, you can achieve more specific habitat goals in the short and medium term with a higher degree of success, through strategic placement of the above 'structural solutions'. We've streamlined what have historically been expensive and unnecessarily complicated design processes, into more transparent and robust field design workflows. Our entire design process is based on formulation of explicit design hypothesis to articulate what the short, medium and long-term hydraulic, geomorphic and ecological responses will be. We use adaptive management to allow us to use multiple (sometimes even competing) design hypotheses to lay out different plausible responses, in addition to the most likely and desired responses. Moreover, we identify adaptive responses should undesirable or unforseen responses arise.